Here’s a crazy statistic for you: 97% of postpartum women are unhappy with their body. More than half of them want to lose weight while breastfeeding. I was one of them. Are you? Your body just went through a major change growing a whole ‘nother human – and it’s only natural that once the new human is out, you want your old body back. Are you ready for some tough love? Your body simply won’t be exactly like it was before. It may be better or it may be worse, but pregnancy changes things. Even if you get to the very same weight as before, your body will be a little different. And that’s okay because your incredible body just brought a miracle into this world!! Of course, you want to start looking and feeling better now that your miracle is in your arms and not in your belly. 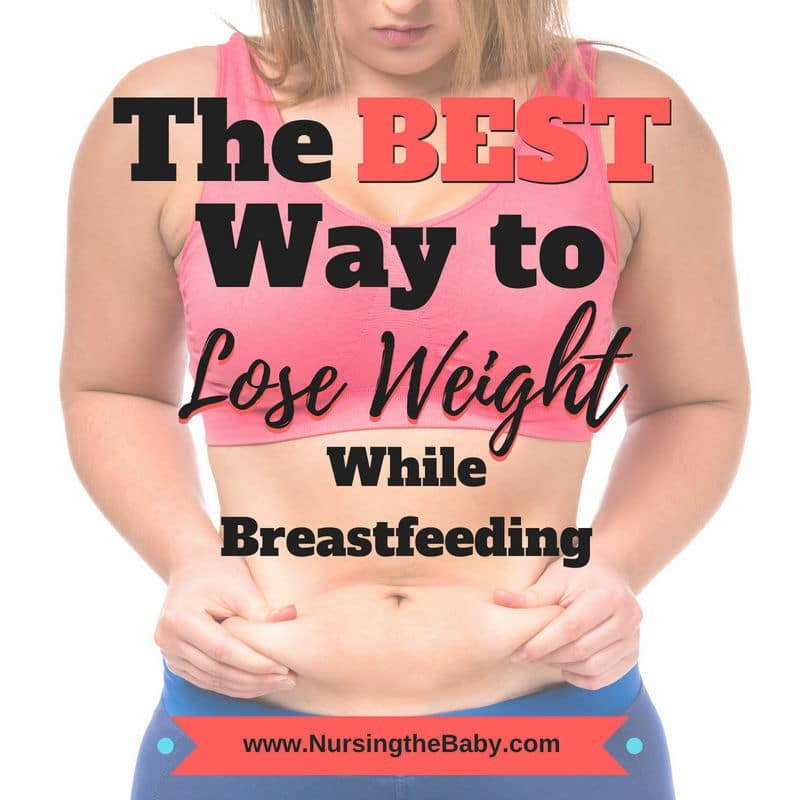 So how do you safely lose weight while breastfeeding? How DO you get back to the very same weight as before? Well, I have a few guidelines for you. If you ask 5 women how to lose weight, you’ll get 10 different opinions. That’s because we all have weight-loss methods that worked – or that we’re sure would’ve worked if we’d followed it. Ahem. For clarification, when I say ‘diet’ I don’t mean the foods you eat as part of your daily routine. I mean a set of guidelines used to limit or eliminate certain foods from your daily routine. 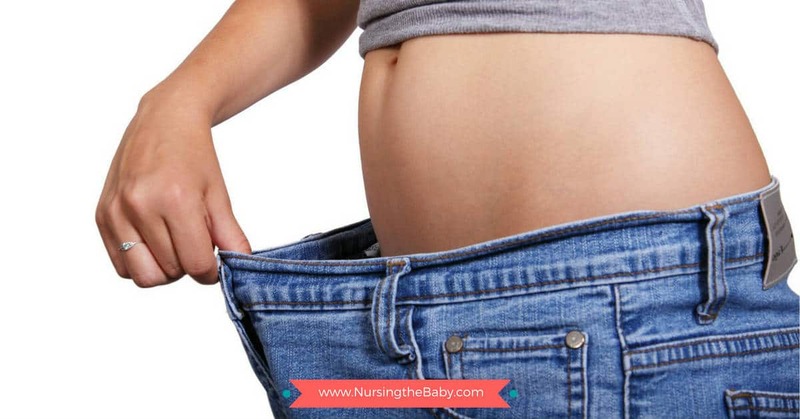 Lactation isn’t the time to be concerned with low fat, low carb, low calorie, Weight Watchers, Jenny Craig, cabbage soup diet, diet pills, intermittent fasting, juicing, or any other type of official diet plan. I’m not against any of these – in fact, there are a few of those I like very much – but they’re just not conducive to good milk production. If you’re not getting enough nutrients your milk supply will decrease. The milk you give will still be nutritious, but those nutrients will be pulled out of your own nutrient stores, making you more susceptible to illness, weakness, and broken bones. If you aren’t eating frequently (as in the case of intermittent fasting) your milk supply will decrease. If you aren’t taking in enough calories then your milk supply will decrease. If you lose more than a pound a week then your milk supply will probably decrease. Breastfeeding is a fat-burner all by itself. You will burn an extra 500-800 calories a day while you’re breastfeeding. Since calorie restriction will reduce your milk supply and you’re already burning more calories than you think, don’t eat less than 1800 calories a day. Instead, shoot for the same number of calories you’d need to maintain your weight if you weren’t breastfeeding. That will put you at a calorie deficit without hurting your milk supply. Eat as many different highly-nutritious foods as possible. You need vegetables, fruits, proteins, healthy fats, and carbohydrates. All of these. Often. 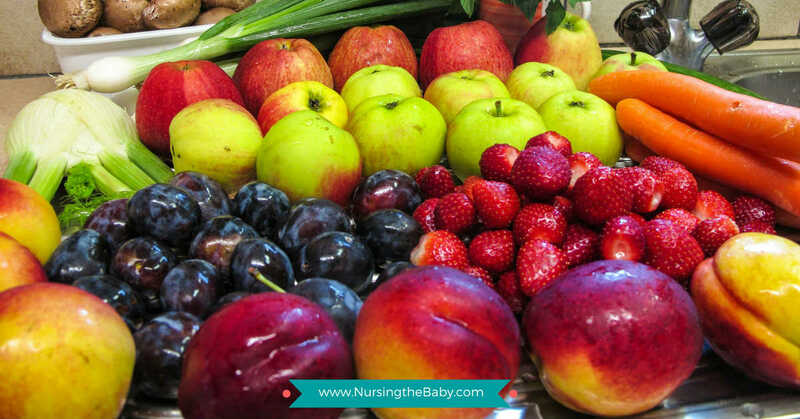 There is one kind of food you can safely eliminate to help you lose weight while breastfeeding, and that’s highly processed and sugary food. Feel free to cut that junk out as much as you want. Honestly, it offers nothing but flavor and guilt. As much as possible, eat a clean diet of natural foods as well as lightly processed foods like cheese, butter, plain yogurt, and organic peanut butter. You just can’t get any better than natural, clean foods. Flavor without guilt – it’s a beautiful thing! Eat plenty of fruits, vegetables, nuts and seeds, beans, dairy products, and meat. If you’re a vegetarian or vegan, please be extra careful to get those nutrients you need! Talk to a doctor, lactation consultant, or nutritionist to get advice on how to cover all your dietary needs. I’m really good about eating clean until I get a craving for something sweet. I’m not alone in that, am I? If you ever have a craving for sweets, search online for a whole-food or clean version of the sweets you’re craving. You’d be surprised at how many easy, delicious, and healthy dessert recipes that are out there! I’m sure you’ve heard “eat a rainbow.” I love that slogan! It’s such a snazzy way to remind us to eat an abundance of brightly colored natural foods. Even with that awesome slogan in mind, you’re probably not going to walk out of the kitchen with a plate of tomatoes, oranges, blueberries, yellow peppers, and spinach and consider that a meal. Who would? A super easy way to eat a rainbow is to make a salad. Or throw them all in a blender (here’s the best blender I’ve ever used) and make a smoothie. Smoothies are a fun way to get many foods at once. Even foods you wouldn’t eat are okay in a smoothie. My best friend is seriously the pickiest eater I’ve ever known. Even if she likes the taste of a food, she won’t eat it if she doesn’t like the texture. And she hates the texture of most fruits and vegetables. If you’re a picky eater like my bestie, smoothies can be your best friend because you can throw a nutritional powerhouse (that you’d never eat) into a blender with a few other yummy things. Suddenly you’re boosting your vitamin intake and making yourself healthier while sipping a strawberry shake! There’s advice you’ve never heard before, right? Drinking water makes every process in your body run smoother. It improves your metabolism and curbs your appetite too! It also helps you eliminate toxins and waste. I know I’m supposed to tell you to sip water all day long. I hope you do because that’s the best way to stay hydrated. Good luck with that. Keep a brightly-colored container of water in a ridiculous place of a room I go into frequently. Drink every time I notice it. Drink 8 ounces of water before I take a bite of any meal or snack. I tell myself I’m not allowed to eat until I drink. Fill a 1-quart mason jar with water first thing in the morning. Chug it all. That’s 4 cups down! Do it again in the evening. I readily admit that the last one isn’t the most effective hydration method because you’ll flush most of it out. But it does get fluid in quickly. If that’s the only way you remember to drink your water, then do it! Don’t even think about exercise until you’re at least 6 weeks postpartum and you’ve been cleared by your doctor. Even if you feel great. Even if you were in peak physical condition right up until delivery. Don’t do it! Your body is undergoing massive changes and is healing on the inside right now. You’re on the road to recovery, but even an easy workout can cause pain. It could also set your recovery back weeks – or months if you pushed yourself into a strenuous workout. You need this time to heal, so take it! If you really think you need to exercise in the first 6 weeks, then go for an easy walk. After your doctor gives you the green light to start exercising, start slow and build up in intensity. Don’t try to jump into heavy weightlifting, Crossfit or marathon running. Your first few workouts should be kind of low-key, moderate exercise. See how you feel, and then add intensity. To really shed pounds, give preference to weight lifting or body-weight exercises (like calisthenics or pilates) over cardio exercises. Cardio exercises are great for building endurance, but they only burn fat for a short time. Muscle mass burns fat around the clock. Building muscles, especially core and leg muscles that probably haven’t been worked for a few months, is a wonderful way to start burning fat even when you’re sleeping. The more muscle you can build, the more you’ll lose weight while breastfeeding. Just remember – start slow and easy, then make it more challenging. Most women are obsessed with health. The problem is that we think about all the things we should be doing, but we rarely think about the biggest factor: doing nothing. Yes, doing nothing is actually good for you! Your body needs rest. So go ahead take naps, or just close your eyes and lay your head back. When you rest, your body starts repairing itself. With just a little rest the healing process is boosted, your brain functions better, your emotions are soothed, your stress level decreases, and your hormones have a chance to adjust. Resting as much as possible is seriously one of the best ways to take care of yourself. Your incredible body can do so much work while you rest that it’s nothing short of miraculous! Don’t underestimate the importance of sleep and restful relaxation. As a side note, it’s a proven fact that when you’re not rested, your decision-making skills aren’t as strong. So you make more bad choices, especially about the foods you eat. Resting will naturally improve your diet without you even trying. It’s really important to understand that your body spent months changing during pregnancy and it’s going to need months to change back. I know we get impatient, but as my friend Zoe from ThinkBaby.org points out in her article about body patience after pregnancy, if you want your body to bounce back, then you have to take the time to nurture it just like you do your baby. She makes some excellent points and even shares her own experience of trying to work out too hard too soon after delivery (spoiler: it caused a lot of unnecessary pain). Keeping in mind that losing weight takes time and that you must be very careful while breastfeeding, avoid the diets at all cost. Try to resist the urge to get in awesome shape too quickly, and just take it slow and easy for the sake of you and your milk supply. If you’ll just take the steps to cut out sugary processed foods, eat an abundance of clean nutritious food, drink plenty of water, and get lots of rest, then the extra calories you naturally burn from breastfeeding will work their magic. I can’t say you’ll be skinny in a week, but your weight will go down as you breastfeed. And most importantly, you’ll be doing it the safe way! 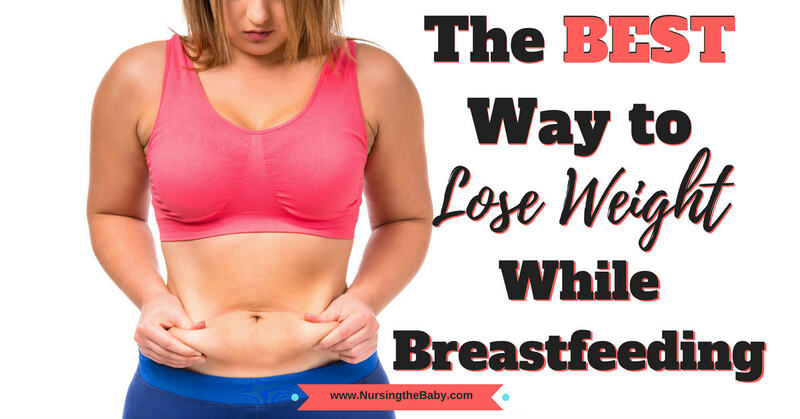 Did you ever lose weight while breastfeeding? Comment below and share how you did it! *As an Amazon Associate I do earn a small commission from products you purchase through my site, but it doesn’t affect the price you pay. I will NEVER recommend any product unless I think you’ll love it! Mummy magic weight loss tea is great. I am loving this product! I get energy, but I am not left feeling jittery, and I don’t crash at the end! And the weight is steadily coming off! I feel fantastic and I look fantastic! I go to the gym and eat right (mostly) and this is the little extra tool I use to help the pounds come off!! I’ve never heard of mummy magic weight loss tea before. I’ll definitely look into it!! It’s nice to have a secret weapon that works. And GOOD FOR YOU eating (mostly) right and going to the gym!!! That’s hands down the best thing you can be doing!! Thank you for visiting my little spot on the web! I hope you find what you need here - a tip, an answer to a problem, or even just a little encouragement. 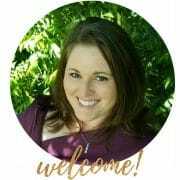 I want to be your cheerleader and a reliable source of information for you as you navigate this breastfeeding experience.